breaking faster than it was growing. I want to do a lot of things this year. A lot. My new year hair resolution as I mentioned in a previous post was to retain my hair length. While having Fro away for a month, I realised that I wasn’t being honest with myself or my hair. And although I came to a point last year where I was happy with my routine, I wasn’t really doing anything to really to keep track of and maximise my hair length. It wasn’t a goal, but this year it is and I’m planning on taking it seriously. Not hair Nazi seriously, but seriously enough to change my routine to be one that leads to length retention. As usual, I read a lot of articles and tips on how to retain length and will be sharing some of those words of wisdom. I’m also officially a product whore. For the past few months I’ve been jumping from one brand to another in the hopes of finding the holy grail of…well everything. Not that I’m not happy with what my core products do, but call me curious. And now I have a whole bunch of half empty shampoos, full conditioners and unopened bottles that I really need to either give away or actually find a way of using. 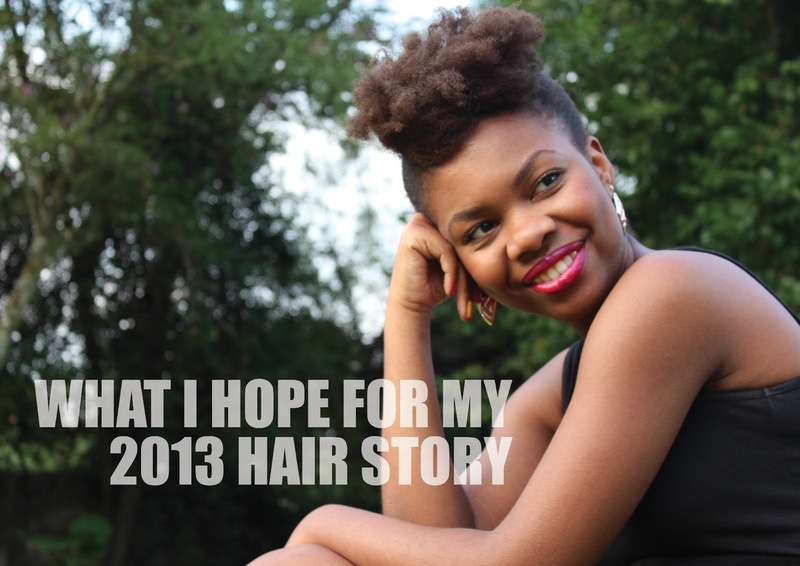 This year I’m also hoping to straighten my hair for the first time since chopping it to natural. I said it last year too but I chickened out, and I’m still curious to see how it would look. I’m glad to have my fro back and there’s so much I want to do with it, I’m not even sure I’ve covered everything in this post! The most daunting bit is adapting my routine. It’s taken me awhile to get to this place but I think it’s necessary for me to try some new things as my goal is different now. Fingers crossed! Previous Post My First Bun! Brief update: I've managed to begin to get Diva's breakage to be less of a problem. I'm so proud of her and me especially because I had to have patience which is hard to have for a Taurus like me. I've also finally dusted my hair and did my first updo that wasn't a sock bun!I'm learning what products Diva likes and which ones she doesn't. I feel like I'm coming to a wonderfulplace of contentment with Diva's progress. I too am a product whore. I have various brands, that do various things. My main goal is to stop the breakage I'm dealing with. I can't tell you how many times Ive hair get stuck in my shower drain. Another thing I would like to do is "be in a relationship" with my hair. You know: caress my hair, talk lovingly to it and appreciate it for what it is. I think that will help ne deal with the negative feelings Ive always had with Diva (that's what I call my hair). I think I need to make changes too in order for me to retain length. I've been stuck at 5" for the past 3 months. Thanx for the inspiratio Aisha. I'm looking forward to retaining at least 4" by december. And good for you for also realising you need to change things! I've noticed it's one of the hardest things to do because you get so used to certain products, certain routines and ways of doing things that even if something's not working anymore, you kind of feel stuck in it. So here's to us for making much needed changes!